As someone who's only a few months out of college and living in the real world, walking through the Holiday Shops is quite the temptation. At this point in my life, the transition from school to work and from dorm to apartment has left me needing a few "real life" staples that I didn't need way back when. I've put together a little list of what I found to be the best gifts for those recent college graduates in your life. Honestly, the best present to give them is probably cold hard cash but if you're looking for something more personal, head over to the spots below. To start off my real world rookie trip around the Shops, I stopped into Urban Man Made (kiosk F8). 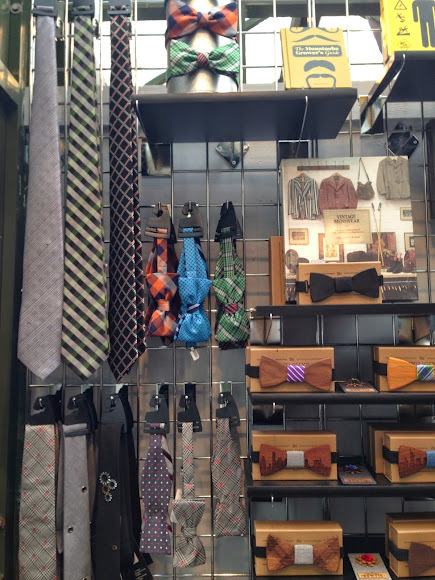 Their tie and bowtie selection (some of which are made of wood!) would make any entry-level employee look like the CEO. Urban Man Made also has a great selection of wallets - they're practical and professional but not uptight. Next, I was drawn into Dekco (kiosk B9) by their colorful prints. Take it from me - recent grads don't have the time or money to go pick out enough artwork to hang on the walls of their new apartment. So, why not help them out? 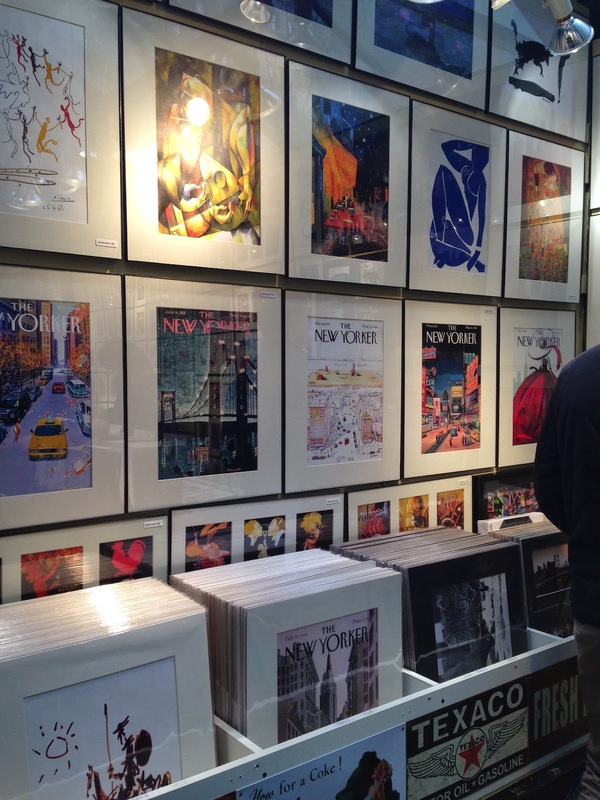 Dekco had some great New Yorker prints, among a ton of other pieces, and all for a great price. Cliff Belts (kiosk J12) got my attention next. 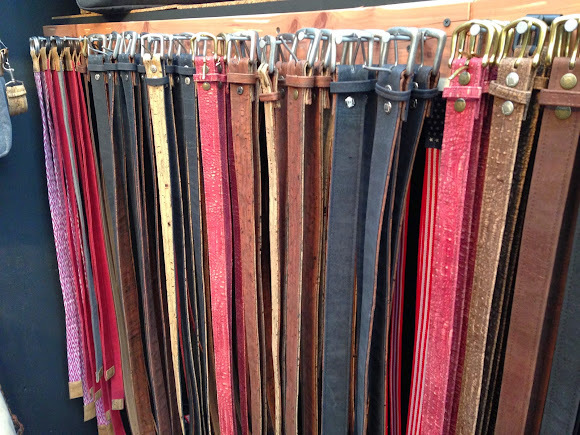 All their belts and bags are made from cork and sustainably harvested tree bark. Their more subdued belts would be perfect to wear to a job interview or first day of work, but they're still interesting enough to wear out with friends afterwards. Lastly, what recent college grad doesn't want some great food? After moving out on my own and having to cook my own meals, I'd never turn down a trip to Two Tablespoons (kiosk F14). 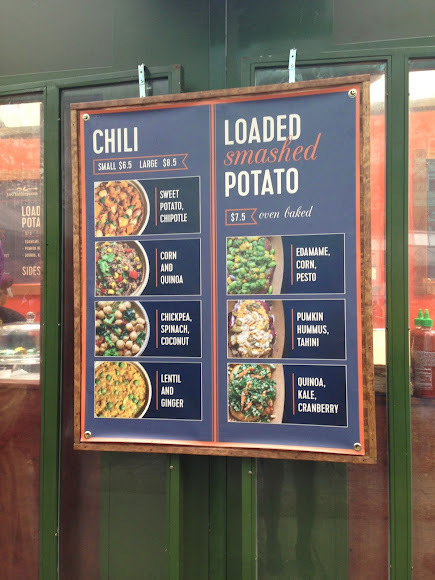 Their smashed potatoes come out steaming, the perfect meal for cold weather. So, if you're thinking of taking your recent grad out to a meal, stop by this Shop for some hearty chili and baked potato.